When you hear the term “corporate investigations,” notorious corporate scandals may come mind: Enron, Bernie Madoff, Cedant and Worldcom. But corporate misconduct, fraud, and abuse take various forms and apply to companies of all shapes and sizes. 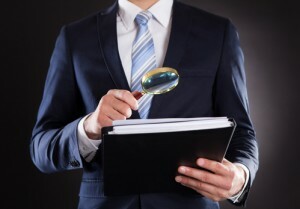 For small businesses and massive conglomerates alike, corporate investigations are often a necessity, whether because of in-house misconduct or outside threats. If something untoward and underhanded is occurring with your company, you are already too close to the matter to objectively and adequately investigate it. Your insider knowledge will be invaluable to an investigator, but your awareness and intelligence regarding the potential crime that’s being committed is where your involvement in a corporate investigation should end. A professional investigator’s job is to determine exactly what’s going on from the information you provide, gather further evidence of wrongdoing, and deliver the details you need for a lawsuit, firing, or other move. It is a private investigative expert’s job to do the dirty work so that you can focus on the daily tasks at hand – because even though something inappropriate or illegal may be occurring within your business, there are still the day-to-day operations to maintain and manage. With threats from inside and out, every company will inevitably be victimized by some type of fraud or deceit. How your organization responds will have a great impact on mitigating the potential damages and reducing future risks for you, your company, your employee, and your customers. The behaviors that fall under the definition of employee misconduct vary and overlap, but in general the bad behavior that a company will retain a private surveillance expert to investigate include harassment (sexual, physical, verbal, threats, or intimidation), bullying, payroll abuse, substance abuse, and insubordination. All of these behaviors require careful monitoring, detailing, and utter impartiality, but also tact, discretion, and subtlety, all of which you will receive from an experienced employee misconduct investigator. Business must go on even in the midst or wake of employee misconduct – outsourcing your corporate investigation makes that possible. Computers and smartphones are responsible for distracting employees quite thoroughly at work. An employee can be sitting at his or her desk, seemingly working, when what they’re really doing is surfing the web, checking social media, or writing emails. The biggest employee time theft threat, however, occurs among employees working outside of the office. Telecommuting employees are difficult to monitor and employees who travel as part of their work or those who are in and out of the office for business have plenty of unsupervised time. 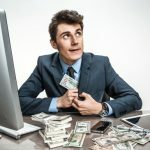 It’s difficult to prove employee time theft – which can include everything from sleeping while on the job to working another gig while out of the office – especially when you have a business to run, but when you suspect that the system is being abused, a corporate investigation expert is the person who can find out what’s really going on. The Family and Medical Leave Act (FMLA) allows employees to take unpaid but job-protected leave, with their health insurance coverage still in place, in order to deal with family or medical issues. FMLA has made it possible for people with serious illnesses and even expectant mothers to keep their jobs while they struggle with their sickness and recovery or that of a loved one. Unfortunately, some employees are committing FMLA abuse, simply taking a break from the job or taking on another job while claiming to need legitimate medical leave. Retaining a private investigator to document FMLA abuse is critical because the cost to employers when this privilege is abused can be astronomical. Employee asset misuse can take several different forms, including: use of company funds for personal expenses; using the company car for personal needs or recreation; accepting gratuities from clients in exchange for special treatment or services; and using the company’s premises and equipment to conduct competing business transactions. While total trust is necessary in order for every employee to do the jobs they were hired to do and for a business to thrive, asset misuse can happen with direct employees or contractors, even those you trust the most. Unfortunately, suspecting asset misuse requires addressing, and quickly. A private surveillance expert is able to monitor activity and gather the evidence needed to confirm this level of employee misconduct. Non-compete agreements are increasingly common across all industries, nevertheless some employees work to build their own competing enterprise while employed with your company and/or make a deal to move to a competing company and take your clients or intellectual property. Non-compete agreements are enforceable and valid – if you have evidence of the violation. The best move a company can make is to seek out a private investigative agency with the experience and credentials that demonstrate their ability to gather evidence of this activity before the employee who is committing the act gets wind of the investigation and goes underground with their endeavor. Your trade secrets, proprietary information, and so much more are at risk – action is paramount. Anytime an “accident” or “near miss” incident occurs at your workplace – whether injury, threat, harassment, intimidation, or otherwise – it’s critical to get to the root cause of the situation, not only for your own peace of mind but in order to fulfill your requirements under OSHA. An unbiased workplace incident investigation conducted by an outside party should take place as soon as possible after the incident in question so that the details gathered are as clear and accurate as possible. It is the job of a corporate investigator to uncover inconsistencies and truths as well as compile necessary documentation so you can defend your workplace or pursue legal action. Business fraud, corruption, and wrongdoing are not uncommon, but that doesn’t mean they aren’t completely damaging to an enterprise. Fraud and internal investigation cases are established to look into business asset abuse or misuse, business address misappropriation, purchase order fraud, procurement fraud, bribery, money laundering, check fraud, shell companies, computer fraud, internet fraud, contract fraud, credit card fraud, and merchant account fraud. The most important element of a fraud and internal investigation is acting quickly to assign the case to an impartial third party, in particular a surveillance expert who is able to see the situation for what it really is and investigate all people involved, even those you might least suspect, in order to pinpoint the origin of the crimes. Computer Forensics: Using court-recognized software and tools so as not to corrupt evidence, a detailed computer forensic investigation includes locating and recovering any and all relevant information or traces of information that may exist on a computer or storage device, including emails, websites, deleted documents, software, and more, as well as when data was created, duplicated, erased, or sent. A computer forensic investigation will discover far more information than just what your in-house IT expert is able to recover, including data you may have believed was gone for good. It is possible to investigate the following devices for electronic evidence: hard drives, back-up storage media, databases, smart phones, tablets, email servers, web servers, internet sites, zip drives, digital cameras, fax machines, copy machines and even digital answering machines..
Smartphone and Tablet Forensics: Mobile devices are the major mode of communication in today’s culture, whether you’re using a cell phone or tablet to make a phone call, update social media, create and edit documents, send messages, view websites, or make financial transactions. Cell phone forensics are at the forefront of investigative techniques, and whether searching on the newest smartphones the the most basic pre-paid cell phone, an experienced computer forensic team can uncover a wide variety of evidence using the same technologies, methods, and practices as federal law enforcement. A private surveillance expert can discover GPS locations, call logs, text messages, email, deleted files, contacts, passwords, pictures, videos, and more, including information about the parties who were on the receiving end of those calls or texts or messages. Undercover Investigations: Professional surveillance experts and undercover investigations go hand in hand. Whether the situation being investigated involves employee misconduct, theft, or fraud, stealth is one of the best ways to uncover evidence. 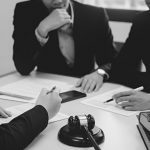 Using high-tech surveillance equipment or complex undercover sting operations, both of which are carefully designed to be admissible in court, each case is customized and planned down to the littlest detail so that your corporate investigation needs are met and your company is not in jeopardy. 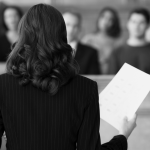 Why Hire ASG for a Corporate Investigation?